Have you thought about volunteering overseas? Would you like to make a real difference as a HOPE volunteer and experience a truly rewarding time working with street-connected children in Kolkata? Or perhaps you would like to volunteer within the UK, fundraising and helping at events. Whichever you choose we’d love to hear from you. If you are under 18 and would like to travel to Kolkata please read here. HOPE welcomes a large number of volunteers and visitors to our projects every year. Join the HOPE Overseas Volunteer Programme and you will be working to help change the lives of children living on the street and in the slums of Kolkata. Volunteers will be placed, as best as possible, according to their skills and experience. Placements may be offered to volunteers who meet the below requirements. Ideally you will have a qualification, skills and/or experience relevant to HOPE’s work, examples of which are listed to the right. If you do not have skills in any of these areas and would still like to work as a volunteer, you can still apply. We welcome all kinds of flexible volunteers who are willing to lend a hand. On your application form, you can tell us about your experiences and explain how you think your skills could benefit HOPE’s work with street-connected children. You will be required to make a commitment to fundraise for HOPE’s projects. Fundraising targets depend on your proposed length of stay. Targets begin at £1,800 for a placement of up to 6 weeks. Full details are given upon application. Note, this is treated as a donation to HOPE. Accommodation is provided for during your stay at no cost, however travel costs need to be covered privately by volunteers. You need to be organised and have an ability to work on your own initiative. You also need to be flexible and prepared to turn your hand to different tasks as required. Applicants must be prepared to fill roles subject to current requirements on HOPE’s projects. First and foremost, you will need to be the type of person who has a positive, open attitude and gets along well with others. Volunteers work with lots of different HOPE staff and are involved in a range of work structures and environments.It is important that the children you work with feel comfortable and safe. To be successful in your volunteer role, you need to be an organised person and have an ability to work on your own initiative. You also need to be flexible and prepared to turn your hand to different tasks as required. Applicants must be prepared to fill roles subject to current requirements on HOPE’s projects. Volunteers completing their Gold DofE may wish to consider our week long Kolkata Residential. HOPE is now an Approved Activity Provider for those looking to complete the Residential section of their Gold DofE. 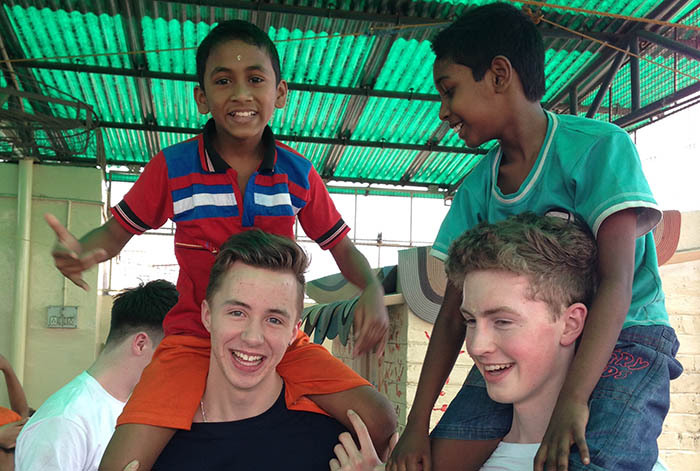 A dedicated Kolkata Residential trip allows young people to play an active role in supporting our work across our education and protection projects in a safe and supervised way. Kolkata Residential trip participants will spend a week living in HOPE accommodation, working at a number of projects across the city as well as having organised activities and group time in the evenings. 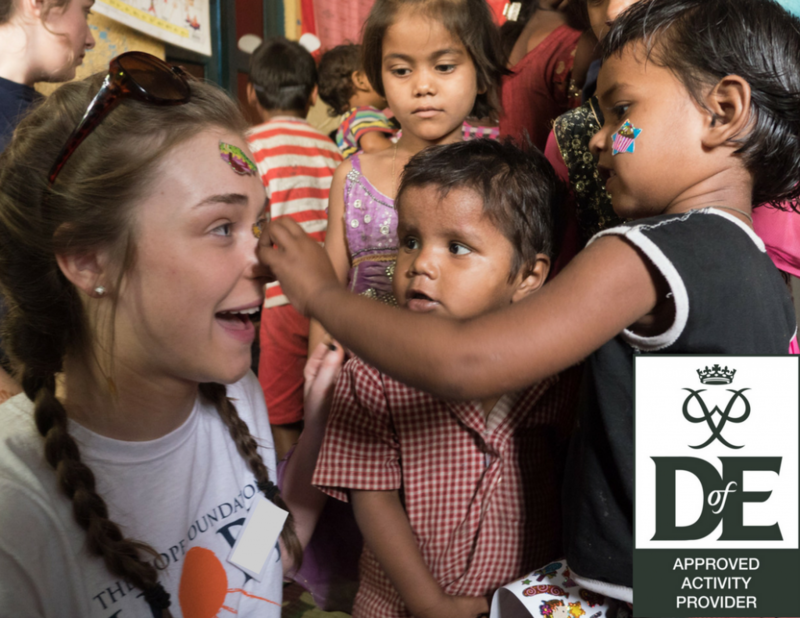 This opportunity is for anyone looking for a unique experience as part of their DofE programme, enabling young people to support those less fortunate in a challenging environment while being part of a dedicated team. Preparation for the trip includes fundraising and being an advocate of HOPE, learning about the vulnerable lives many lead in Kolkata. The Kolkata Residential trip serves to help others as well as your own range of skills as you prepare and partake in this experience. For more information, please contact andrew@thehopefoundation.org.uk. I am over 18 years old > I am a UK resident > I am applying at least 3 months before my proposed placement > I am aware of the need to fundraise for a volunteering placement > I would be available for an interview in London (send button is disabled until this box is checked). I would like to receive future communication from HOPE.We would love to send you updates about HOPE's project work in Kolkata and our fundraising activities in the U.K. We'll always treat your personal details with the utmost care and will never sell them to other companies for marketing purposes. I consent to having this website store my submitted information so that they may reply to my query.